Vote for Granit in the 2015 Build It Awards! We’ve been shortlisted in this year’s Built It Awards. We’re really pleased to announce that our Broadgates Road project has been shortlisted in the 2015 Build It Awards. Clients, Fiona and Tim Johnson’s light-filled home has wowed the Build It editorial team and has been praised as ‘an exemplary model of how to sympathetically add space and value to a traditional building’. 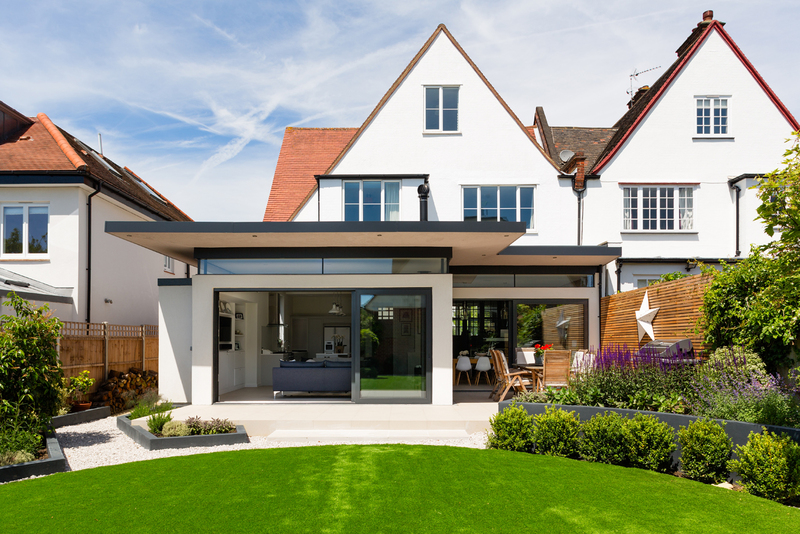 Design involved demolishing the existing extension and replacing it with a space that made a strong contemporary statement, without overpowering the existing architecture. Steel frame addition features a clever cantilevered roof to create a shaded zone for outdoor entertaining. Scheme delivers on the owners’ desire to have a light-filled, lively family home inspired by antipodean architecture. The complete renovation and extension cost £325,000 and took five months to complete. We want you to help us win the 2015 Build It Awards. We’d love to be crowned as the 2015 winners so please take the time to vote in this year’s Best Self Build or Renovation Project awards. Please vote for Granit as your favourite awe-inspiring scheme. Voting closes on 7th September so there isn’t long! The survey should take no longer than 1-2 minutes. Vote for Granit and help crown us Britain’s Best Self Build or Renovation Project in this year’s Build It Awards. Voting closes on 7th September 2015 so there isn’t long. The winner of Best Self Build or Renovation Project 2015, sponsored by ID Systems, will be announced at the Build It Awards ceremony on 24th September 2015.